Tough as nails, famed for hand digging own 25m, 1 lane swimming pool, eating an unlucky (road kill) rabbit, once killed a baboon with a stick, (it was fighting our dog) also known to test equipment to the max. Professional triathlete for the past 22 years. 6ft 2, weigh 83kg, 41 years old. 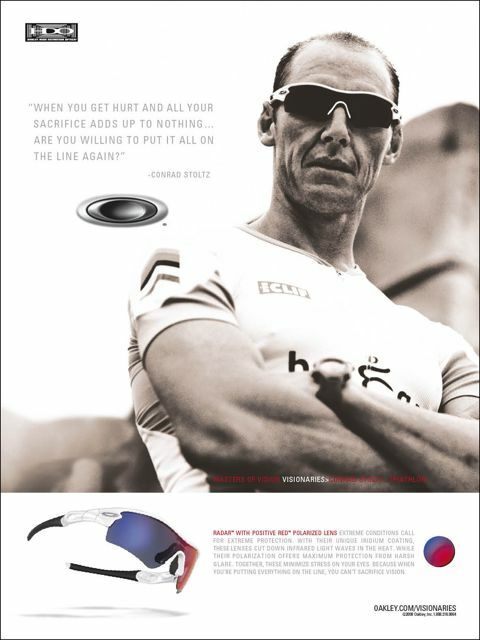 7x World Champion off road triathlete. 2x Olympic Triathlete. 53 XTERRA Championship victories. Lost count of past road tri wins. 423W FTP over 40km (51.49) on TT bike at age 40. Raced XTERRA and non drafting road triathlons for past 14th summers mostly in the USA. Raced non drafting road triathlon for 6 summers in France right after high school. (Speaks French, loves foie gras, truffles, red wine & garlic) Competed on the ITU World Cup Triathlon circuit from 1992 – 2004. 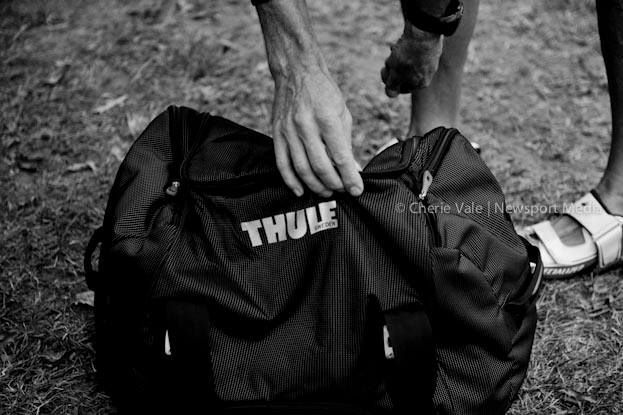 Been racing BMX, XC running, triathlon, duathlon, XTERRA, MTB races and TT events since 1981. 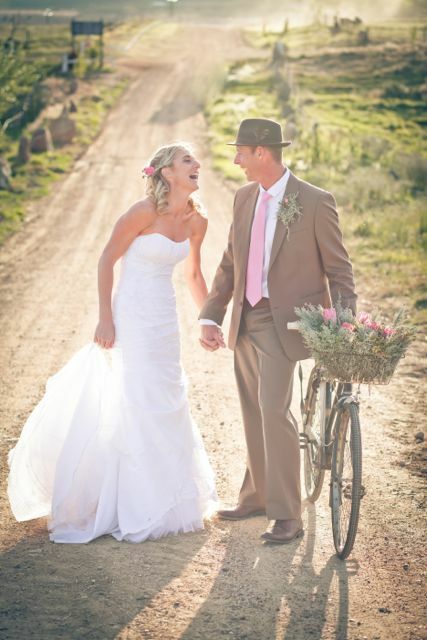 Married to Liezel Wium on 11/11/11 – former South African Netball Captain & International Netball player. – Specialized Bicycle Components I’ve been representing this iconic brand since 2001. – Suunto GPS sports watches. Proud global ambassador. – Clif Bar All-natural and organic energy and nutrition foods and drinks. – Squirt Chain lube. The best in the business. Made in South Africa. Altra Footwear. Home of the Foot Shaped Toe Box, Zero Drop and much more. BOS Sport “Serious about fun” sport drink. – SUPACAZ High performance grips and tape. 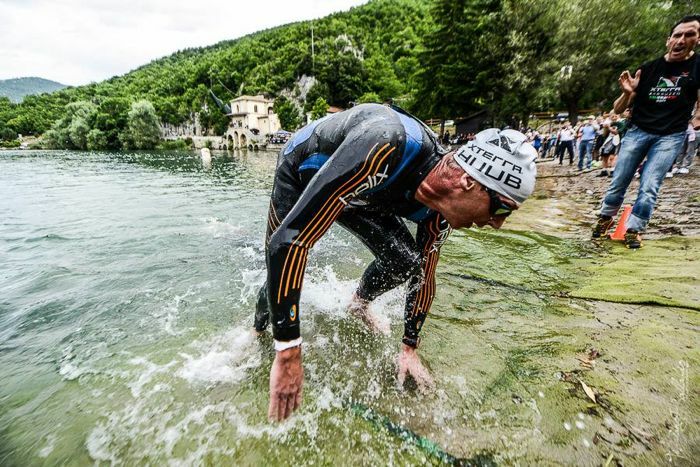 – BlueSeventy Wetsuits and swim skins. – Niblewear. World leading manufacturer of custom sublimated cycling, triathlon and running apparel. XTERRA.TV is an internet TV channel dedicated to promoting the sport of XTERRA through race highlights, feature shows, athlete profiles, user videos, course previews. To date, XTERRA.TV has been viewed by nearly 300,000 people from all over the world. The Paul Mitchell XTERRA University is a free pre race clinic where XTERRA Univeristy Professors teach “The Art of XTERRA.” I’ve been a “Professor” since 2001. If it wasnt for a pro triathlon career intervening, I would have studied Industrial Design. I’m creative, practical and handy. I constantly think of ways to improve my equipment. 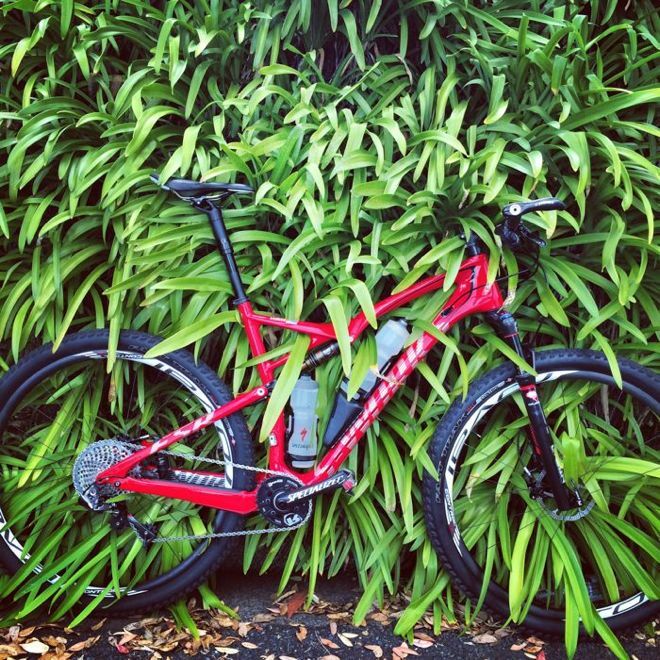 – I have been invloved with the testing of the various Specialized Epic XC race bikes for a number of years. – I’ve been involved in a number of Specialized tyre testing programmes. – I helped test and develop the Specialized Command Post and various Specialized saddles, grips, gloves, helmets & more. 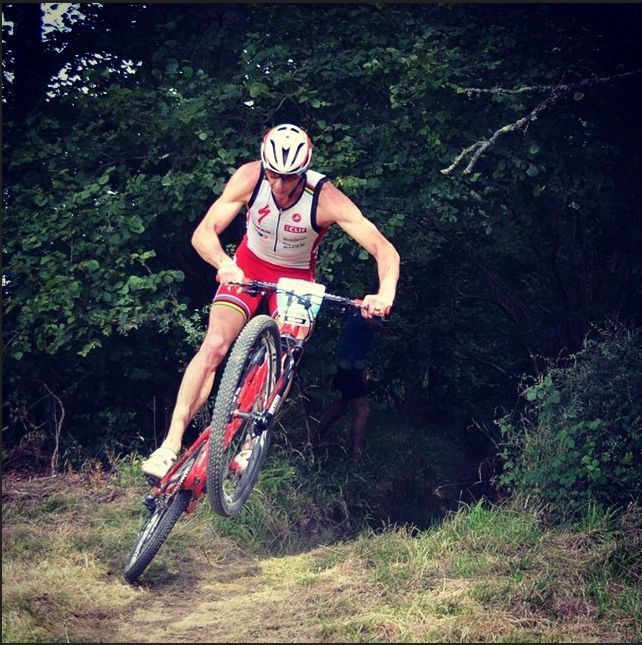 – I was the first rider to win a World title on a 29er bike (XTERRA Worlds 2010) and helped pioneer 29ers from a “clown bike” to what today is accpeted as the standard wheel size. 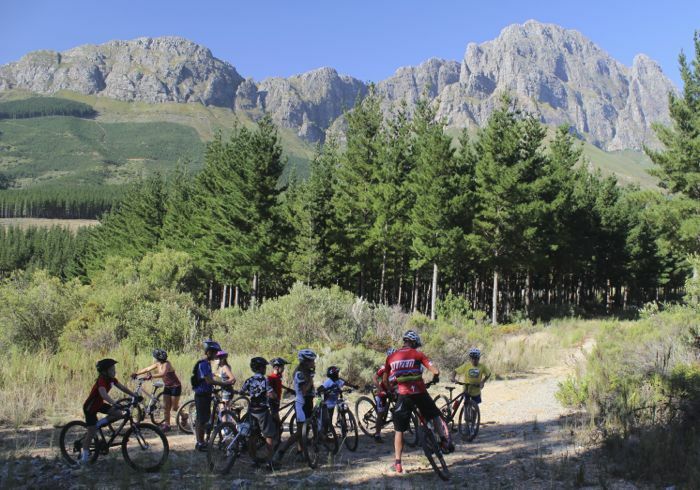 Skills clinics: Caveman Mountain bike XTERRA and Triathlon clinics. I’m passionate about teaching, mentoring and coaching. After 22 years of being a professional athete racing around the globe in various disciplines, I have a lot of experience and know-how to pass on to sport lovers. And especially the next generation. Teaching young ones the basics of cornering. Another reason the sport is so popular is the fact that XTERRA has been made popular through great press coverage. 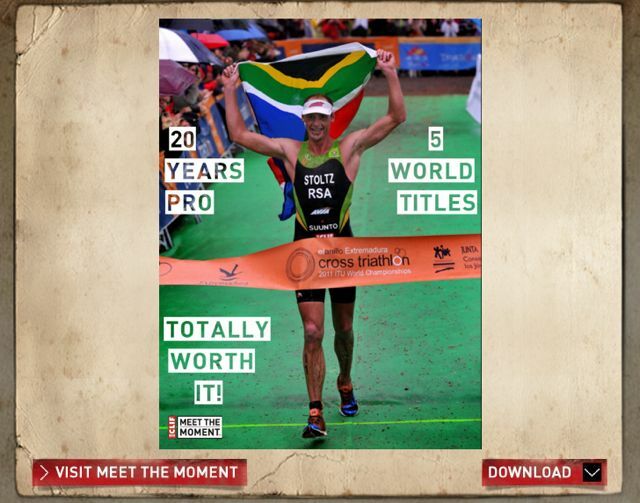 XTERRA South Africa has a 12 programme series on Super Sport 6 which has done a lot to popularize off road triathlon. XTERRA World Championships is aired on CBS on Superbowl Sunday and many of the XTERRA Shows has won trade awards. To whomever this note might find, please spare me a moment to share a few memories of Conrad Stoltz that have little or nothing to do with racing. I started handling the media relations for XTERRA in 2002, and met the Caveman a year after he won his first of four XTERRA world titles. When it comes to representing sponsors in the very technical sense you’ll find no one better. 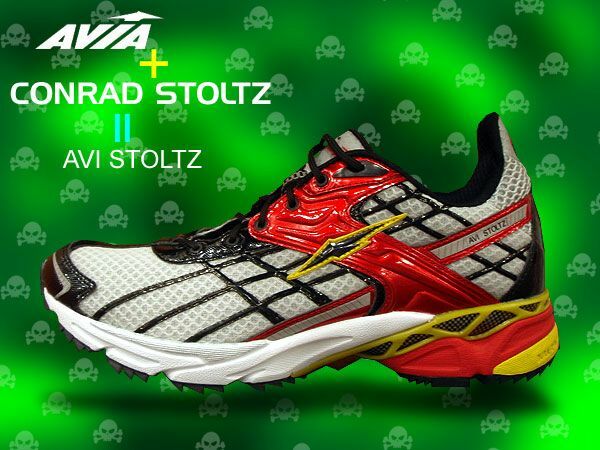 I would guess more than half of the XTERRA field rides Specialized and runs in AVIA’s because Conrad does. 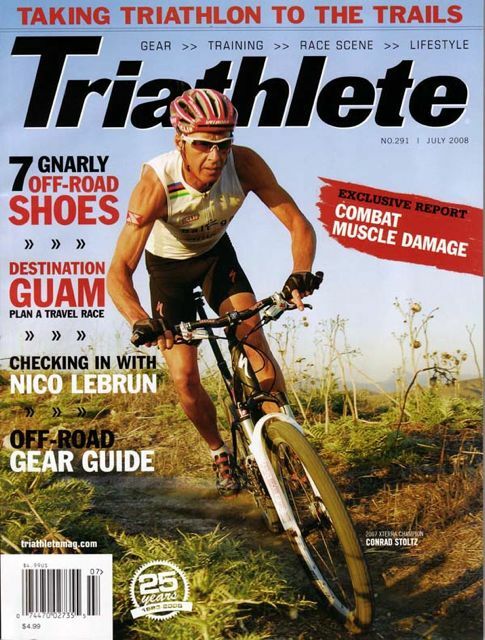 When presented with media opportunities to promote his supporters, he’s articulate and timely, and you can read his quotes in the 2012 XTERRA West Championship report to see the latest example of this. He’s also brilliant one-on-one with age group athletes, dedicating his time to inform, educate, and inspire racers of every skill set, in every place we go. His true virtue, however, is in the quality of his character. Beyond the spotlight, when no one is watching, Conrad Stoltz is a rare gem of a person – genuine, caring, smart, and giving. In the time I’ve been around Conrad I’ve witnessed him change lives. Last August (2011) in Tokyo, Japan, at one of the busiest subway stations on earth, Conrad noticed a woman struggling with her luggage at the top of a stairwell at the exit. While hundreds of commuters quickly navigated their way around the woman, the Caveman worked his way through the crowd – like a fish swimming upstream – to help her, grabbing the cumbersome luggage and carrying it down a massive flight of stairs to the bottom. 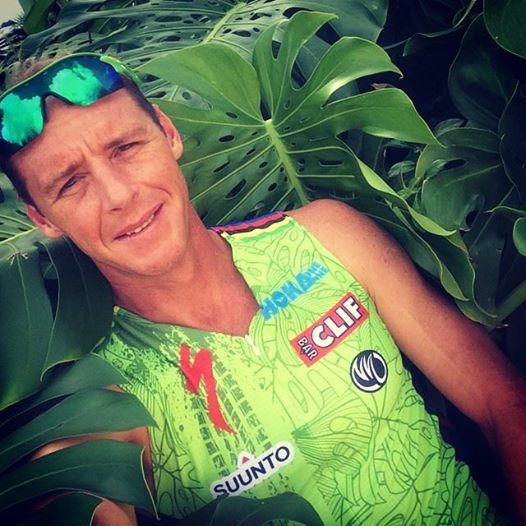 That is just the kind of man he is, and XTERRA racers around the world have had the pleasure of seeing him perform countless acts of kindness – from signing autographs and providing simple words of advice to full-blown mentoring gigs and visiting sick kids at Children’s Hospitals. To put Marita’s note in further perspective, Conrad had to pull from Worlds on the run – he couldn’t breathe. DNFs are not part of his culture, so you can trust his disappointment was off-the-charts, but despite this – his character remained true. When I speak of changing lives, I think of Taylor Seavey – a teenager who is now one of the fastest age groupers in XTERRA and a future pro. Taylor is deaf. He was inspired to race XTERRA by watching Stoltz perform in Maui. As the law of attraction brought the two of them together, Stoltz was equally inspired by the courage of Seavey, and started to coach him and provide training plans to fuel the fire of the young man’s dream. Conrad has done more for XTERRA and perpetuating the healthy, active, outdoors lifestyle than anyone on the planet. 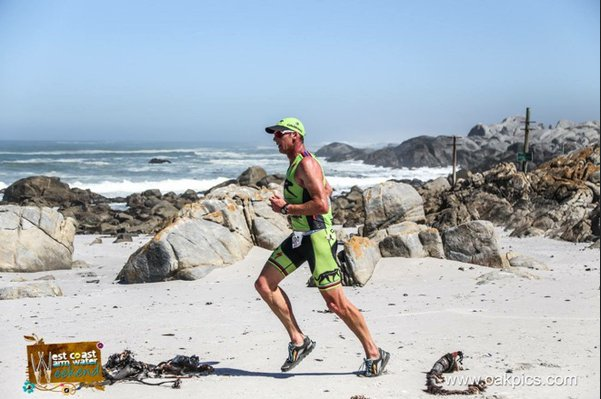 The XTERRA South Africa series is perhaps the most vibrant in the world, with more than 2,000 racers taking part in their championship weekend earlier this year. He’s touched and motivated more people to get out and “Live More” than you could possibly count. Here’s a fun story from the women’s SA Champion Carla Van Huyssteen. In 2009 after slicing his foot open before the start of the East Championship, while retrieving a buoy that had gotten unhooked for us, he didn’t give up. He won that race. When his father Gert Stoltz passed away in early April, Conrad eloquently shared memories – videos and photos and stories – to share with the world what a true legend his Dad was. 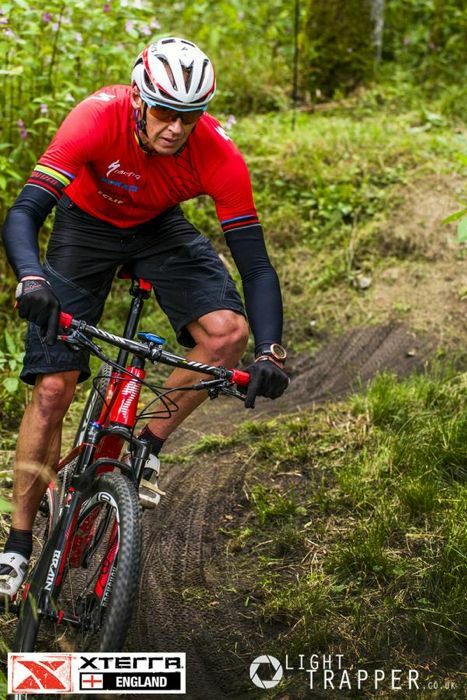 The XTERRA family mourned, but Conrad eased their pain – accepting their heartfelt condolences and embracing the community that cares so much about him. Just five days after his passing, Stoltz won the series opener at the 2012 XTERRA West Championship, the start of a season filled with goals of a 10th Pro Series crown and fifth XTERRA World Title. It’s what Gert would have wanted. The Stoltz’ never give up. The next day he went home for the funeral. Conrad Stoltz is the coolest, kindest person you’ll ever meet. It’s been an honor to see him race, and watch him interact within our community. While I could never, nor could 99% of the world’s fastest humans, ever keep up with him on a race course – I will try my best to follow in his footsteps as a man, and I will teach my son to be like him. He is all that is right in this world. 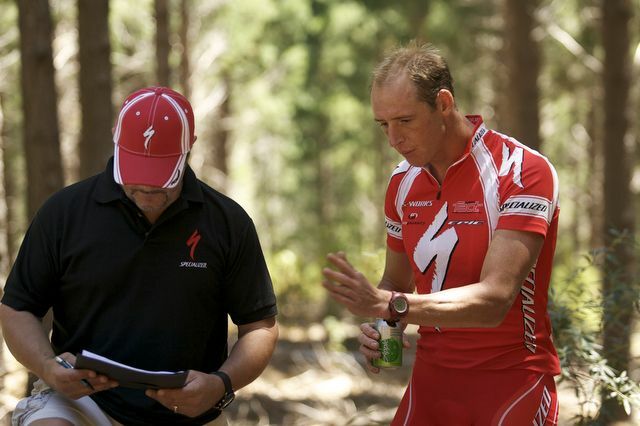 “Conrad Stoltz is the living, breathing personification of XTERRA and the values that we hold dear. He holds the record for most Championship event titles (47 victories) and is the only athlete in the history of our sport to hold four World Champion titles. His athletic prowess is legendary. 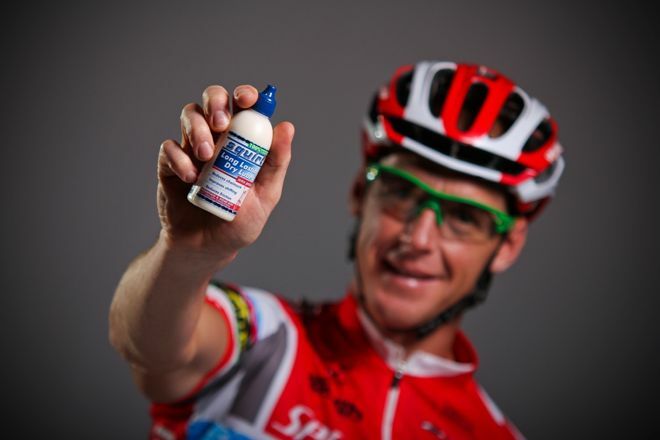 Most importantly, he is an excellent spokesperson for his sponsors and our sport. He is dependable, approachable, humble and personable, and more than willing to share his racing skills and knowledge with other athletes. “The Caveman” is an iconic member of Specialized and has been a corner stone of the Specialized Athletic Stable since joining our program way back in 2001. Everybody here loves “The Caveman”. He has a gentlemanly demeanor, a good person, but on the race course is a fierce competitor with a legendary Big Match Temperament, a characteristic that has resulted in an impressive career to date. Conrad is gifted on the literary side, his blogs are first class and his ability to articulate critical product feedback to our engineering team is second to none. This is what makes the difference. 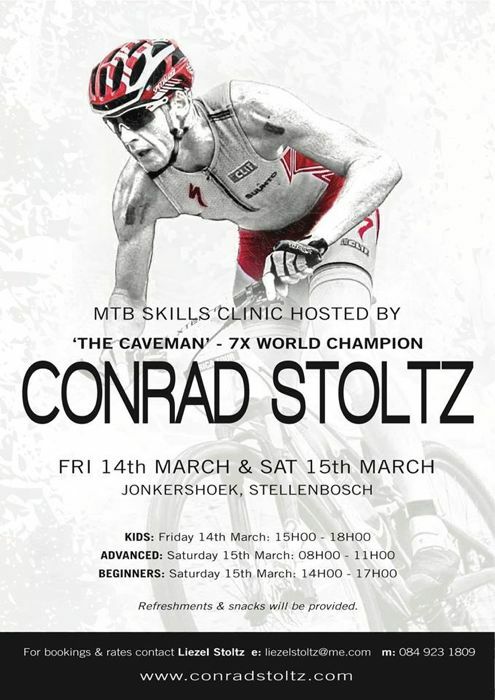 Conrad makes a difference not only on the race course, but also in the bicycles and equipment Specialized develop. 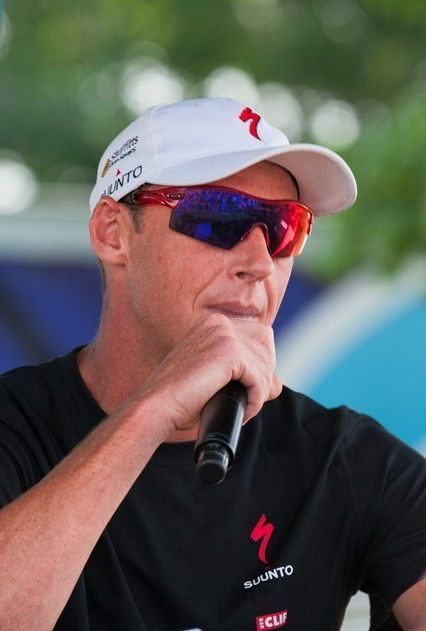 Unlike US baseball or South African rugby, triathletes (even a 7 x World Champion) struggle to make a living from sponsorship and prize money only. I’m VERY grateful for the sponsors I have, who have supported me for many years. However, we are particularly interested in financial sponsorship. I love the sport and the lifestyle, and plan to be winning races for at least another 5 years. My brand is well established and strong, my track record speaks for itself, and I believe I am a valuable asset to a matching brand http://www.kamagraoraljelly247.com/. Amazing accomplishments Conrad! When I was in nursing school many years ago, I trained for and competed in two triathlons. I vowed to never do that again, since it was so painful after each one. Nice to see better abled individuals like you taking it to the next level! 🙂 Keep it up! I have known Conrad since we were juniors. One amazing guy and inspiration for us all. Great article and endorsement, well deserved.